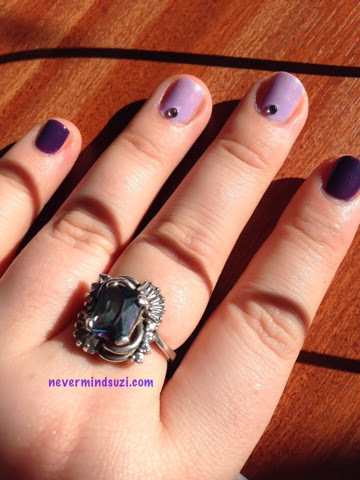 I've so many nice polishes to show you that I usually like to wear more than one at a time. So here are 2 purples, 1 from each end of the spectrum. 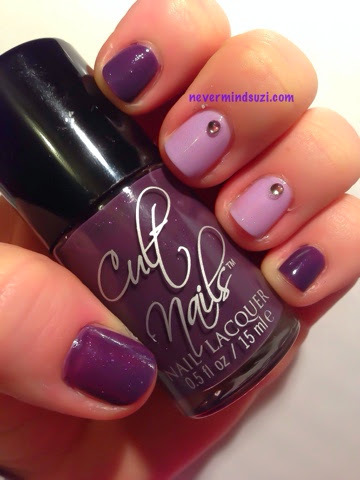 Cult Nails - Spontaneous, a not quite aubergine purple with a subtle purple glitter through it. This was 2 coats but my thumbs looking a bit patchy here). 365 Days of Colour - Fields of Lavender is just that. A lovely lavender holo. Unfortunately even direct sunlight I couldn't catch those lovely holo rainbows.